ChassisKing's process for designing and manufacturing chassis focuses on producing high-quality, exceptionally reliable products for our customers. From the first step to the very last, we pride ourselves on producing the best chassis on the market so that you can ride like a King! Great quality begins with design. Our team of highly skilled engineers employ solid principles of reliability and usability when creating our chassis specifications. 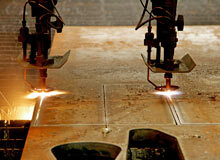 We use state-of-the-art tooling including Plasma cutters. 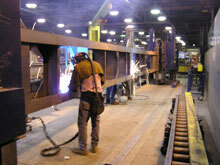 Our manufacturing process utilizes an experienced team of veteran welders to transform concept to reality. 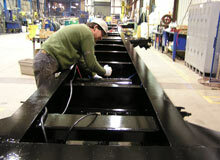 Chassis are rotated during the welding process to provide flat surfaces. 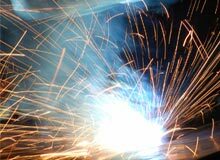 This helps ensure the best, most reliable welds possible. 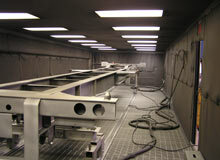 All chassis are shot blasted to white metal to provide the best possible paint preparation and then painted with high zinc primer and high-quality urethane top coat. 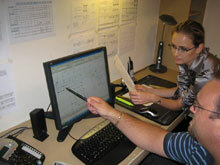 Careful attention is paid when routing air and electrical lines to provide years of trouble-free service. Your operations are critical, so demand nothing less than the best. 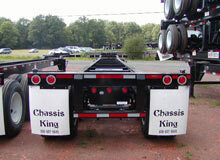 You can rest easy knowing that your new Chassis King chassis has been designed and manufactured with precision and careful attention to reliability and quality. Use our chassis with confidence and ride like a King!